Scroll down this page to see the brainyforex list of successfully tested EA systems and those currently being tested. All aspects of the robots are taken into account including quality of the software and vendor support in addition to the robustness of the trading strategy and final profitability. 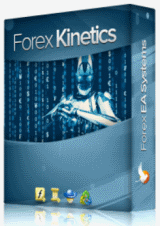 Attention : Automatic Forex Trading Systems Developers! Are you the owner of a trading system that profits over the longer term? If you would like brainyforex to recommend it to the trading community, then ask us to do a review and we will post the robots results for everyone to see. Please use this form. Question ... "Is your Forex Robot good enough to be tested?" If so, we look forward to hearing from you. Information about running these robots can be read here. Why limit your choice of automatic forex trading systems to only 1? Instead, consider acquiring several different ones to trade for you on different brokerage accounts. This way you should profit in all types of market conditions and your risk will be reduced by operating through different brokerage firms. For recommended brokers go here. Systems shown below are the survivors and the NEW! Only consistently profitable systems remain on this page. A "well done" goes out to these developers that show that forex robots can indeed succeed! Read About "The Details" Of All Tested systems. This Is What Has Been Our Personal Experience With Different Systems. Go here. If you would like to build your own Automated Trading System brainyforex recommends these EA builders and programming services on this page here. How RISKY is the robots strategy? A great way to understand how risky a robots strategy is by checking out the RISK tab in the MT4i reporting page. If your new to this and not sure, get an understanding how it works by reading more here. Watch short 1 minute video about the traits discovered that all successful forex robots have. Tested systems results here - what we discovered during testing - over 30 EA systems - Find here. Tested from 15 August 2018 to 18 October 2018. Update : Warning. Ensure correct risk settings are used as unfavorable market conditions may occur on rare occassions which could cause larger than normal drawdowns for this EA. Example : Notice on 28 November 2018 a temporary drawdown of 14.49% occurred on the vendors live account which was unusually high from it's normal less than 4% drawdown in the past. 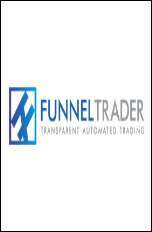 Brainyforex has tested Funnel Trader from 10 August 2018 to 18 October 2018. The starting demo money account was $5,000 and ended with $5,568.94. That being 11.4% growth in 70 days or 4.9% monthly. It made 775 trades, 462 being winners and 311 losers. Continue reading full review click here. Testing commenced 26 Sept 2017 and finished 22 March 2018. Update : Warning. Developer's live trading account has failed during 2018. 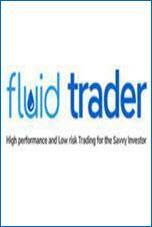 Brainyforex testing of Fluid Trader EA started on 26 September 2017 with a $3,000 demo account and the balance ended with $3,945.68 on the 22 March 2018. We used medium risk settings running M5 AUD/USD & USD/CHF. The EA made 671 trades, 545 being winners and 125 losers. The overall profit was 31.5% being approx 4.6% each month on average. Continue reading full review click here. Old tested robots have been moved to this page here. MT4 Forex Weekend Gap EA by Expert4x. Testing started 11 September 2015 and finished 30 May 2016 with demo account. This EA trades weekend gaps. Update : Warning. Developer does not show live trading results through any third party. Brainyforex started our test for Weekend Gap Trader EA on 21 September 2015 with $10,000 in our demo account and finished with $12,365.36 on 30 May 2016. In summary a net profit of $2,365.36 over 264 days.ie 2.5% monthly. The system made 126 trades each Monday morning, 80 being winning and 46 losing. Average trade length was 8.7 hours. 15 Winning weeks and 12 losing weeks. Continue reading full review click here. Brainyforex testing commenced 1 December 2015 using REAL money account. EUR/USD H1 default settings except MaxDD% 20.0%. (Default 50%). 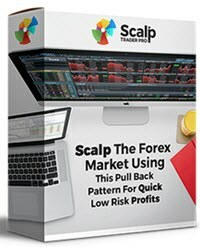 NOTICE : SCALP TRADER PRO has been removed from testing as at 1 February 2016 because during testing the metatrader terminal came up with a message saying the account was trying to reconnect to fxphantom.com. ScalpTraderPro is marketed as a EA from Doug Price but shows some connection with William Morrison (FXPhantom)? In the past brainyforex has tested fxphantom with poor results. Read review on this ﻿page here. ﻿If you type in www.fxphantom.com into your browser, you will be redirected to another of Doug Prices EA's called VortexTraderPro. If you are still interested in monitoring future results of ScalpTraderPRO, then please refer to the vendors myfxbook.com results as they do match those achieved by us using our live account. Results for this system as tested by us [turned off during 17 Dec to 8 January due to xmas break] has produced $5.30 profit (38.7 pips) on $100 live account for 2 months from 1 December 2015 to 1 February 2016. Being 4 trades with 100% accuracy. ThinkForex demo account. EUR/USD 15min, GBP/USD 5min, AUD/USD 5min & USD/CHF 5min. Read interview with Jared here. Update : Warning. Developer is no longer showing his live trading results through myfxbook.com as he did in the past. 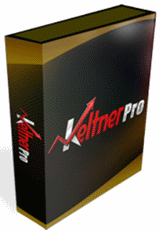 Brainyforex tested KeltnerPro V2 (second test) for 4 months (118 days) starting 28 January 2015 $5,000 and finishing on 22 May 2015 with closing balance $12,512.58. ie 150.2% Profit. It made 164 trades in total, 90 winners and 74 losers. Drawdown 11.8%. Profit factor 2.12. Continue reading full review click here. Note first test: KeltnerPro V1 was doing well until the Swiss National Bank's shock announcement on the 15 January 2015. That's why Version 2 is now placed on new test account. Read more about the SNB announcement / price shock here. 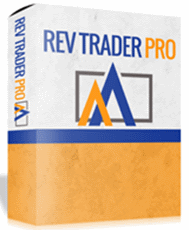 Brainyforex tested RevTraderPro EA for about 5 months. (146 days). Started 12 November 2014 with $5,000 and finished on 8 April 2015 $5,292.46 (Demo money). Continue reading full review click here. MaxScalper released, a high frequency fully automated system which trades volatility & standard deviation channels incorporating a anti-martingale money management method (opens extra trades on winning positions). Doug releases a price pattern scalper that trades a specific pull back pattern with high accuracy. Programmed to adjust parameters according to changing market conditions. Since 24 March 2015, completed 102 Trades with 832 pips profit. To date 100% accuracy, 33.5% monthly, 9.25% drawdown. It's called ScalpTraderPRO. Doug releases his personal trading assistant called Swing Trader PRO. Software that provides possible trading opportunities [Audio alerts & chart arrows] along with recommended take profit and stop loss settings. Doug has only shown a few months of live trading results back in 2015, which were great. None since then. Beware for this reason! Account #1 Broker ICMarkets Demo account. Recommended default presets used with 15 charts. Brainyforex has tested Forex Kinetics EA for 253 days on the first account from 17 July 2013 to 2nd April 2014 with 15 charts the opening balance of $3,000 closed with $4,513.14. ie $1,338.70 profit, being 354 pips gained. A overall net profit of 44.6% ie 4.6% monthly. Made 63 trades, 37 winners, 26 losers. Continue reading full review click here. Update : Note. Developer's website is no longer active. 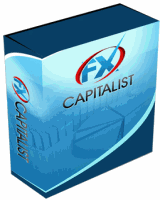 Brainyforex has tested FX Capitalist EA. This scalping EA holds trades from seconds to minutes has been successfully traded on brainyforex FinFx DEMO account. Opening balance on 15 January 2013 $3,000. Closing balance on 2 May 2013 $3,438.48 being net profit of $438.48 for 108 days. There were 3 winning months and 2 losing months. 18 winning trades and 37 losing trades. ie Overall 14.6% Profit, being 3.7% monthly profit. This EA will only have a chance of success on a real account on the lowest or no spread ECN brokers with the best possible VPS latency speed. 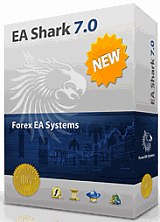 EA Shark 7.0 was successfully tested by brainyforex on IC Markets DEMO account. It is an extreme short term scalper EA which buys and sells currencies within seconds. It would only have a chance to work on nil or low spread brokers with the fastest VPS latency speed. Unsure if it would actually work on a real money account due to slippage / order fill issues? On our demo account we dramatically increased the risk settings from 0.005 to 0.02 half way through testing to push it's limits. It traded very well starting on 6 July 2012 $3,000 to 16 April 2013 $17,157.20 closing balance. Being net profit of $14,157.20 over 285 days. 471.9% overall profit, being 20.5% monthly. Made 107 winning trades and 115 losing trades. 7 months winning and 3 losing months. Short term scalper with 5 pip stop loss. EUR/USD 1 minute. Gain owner insights and news updates here. Brainyforex has previously done two brief tests through Finfx.fi. Read about our the test results so far here. Third account test through "Thinkforex account". Million Dollar Pips EA was tested by brainyforex on a real money account through Finfx.fi (non-ecn account) from 15th to 20th September 2011. Produced 28 trades of which 3 were profitable and 25 were losers. Loss of $85.01 on the $488 account. The software program reported that there was a problem with the speed of trade execution (latency) between broker and vps provider. The recorded speed was 142ms. This was a problem on my side of things because my vps host is located in America and broker in Finland. For best VPS and broker speed it is best to have both as close as possible. Continue reading full review click here. Basic version tested. Breakout strategy. EUR/USD 15 minute. Forex Growth Bot EA was one of the first expert advisors brainyforex tested. It performed very well on DEMO account achieving about 13% monthly net profit using the basic version of the software. Unfortunately the actual Metatrader results are no longer showing up through the reporting firm called FX Blue and a summary of the results was never kept. 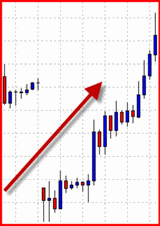 Forex Growth Bot uses a breakout strategy on the EUR/USD 15 minute chart. As with most short term trading systems it's very important to use a good ECN broker with nil or very low spreads as well as a fast VPS service. This forex robot will work better on some brokers and may not even be profitable on others? Others have got bad results from this system. Read about them on our review page here. "If programmer developers have got the guts to have their Expert Advisor Robots shown here, we got the time to add them".